So some people don’t like the newly-announced Metroid game. Personally I don’t mind the fact that this is a co-op/multiplayer game, but I can understand the frustration. 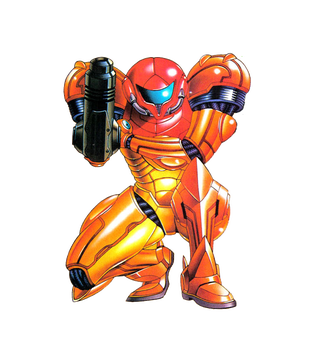 It’s just been too long since we had a new singleplayer Metroid game, period. What we need is a Metroid fix, a good one, a big one, NOW! Well, I got just that. I present to you: A Metroid speedrun marathon from two weeks ago! A week before this year’s E3 started, some runners came together to run ALL Metroid games in existence. Including Metroid Prime Pinball and Metroid Prime Hunters. All runs can be watched via Twitch archive, but they’ve also been uploaded onto YouTube. The usual 100%, Any% and Race runs are present here, but also some uncommon runs. For instance, someone runs through Metroid Prime 1 with the minimum amount of items possible. That means only the four beam weapons, morph ball, space jump, 5 missiles, and no extra energy tanks whatsoever. It may just be Normal difficulty, but it’s still avery intense fight, and he only dies once at the Omega pirate boss fight (maybe one more time, but I can’t remember). Still, that’s skill and patience for you! Similarly-impressive is this Super Metroid run in which the runner goes for the bosses in reverse order - so Ridley first. Since Ridley is all the way down in Lower Norfair with the hot areas (but the runner doesn’t pick up the Varia or Gravity suit, as this would require to kill the other bosses first), Samus is losing health all the time. Therefore a speedy, risky and well-planned strategy is required to pull this off - and they make it happen! Truly one of the more crazy, yet skillful speedruns. There’s also a run of Metroid:Other M on Hard difficulty. The story in this game may be bonkers at times, and it’s even more linear than Metroid Fusion, but the gameplay is still pretty solid. As someone who’s played through Hard mode on this game myself, I can tell you that this is no easy task - and indeed, the runner dies a few times. But it’s still a nice one to watch! In addition to running the normal Metroid games, they also run some mod games (in a sense). There’s Project Base, a hack for Super Metroid which tweaks the original game to make it more fluid, and even adds a new move in the form of a backflip. Then there’s Hyper Metroid, a very well-made total conversion (well, total level redesign and custom textures anyway) which uses the modifications of Project Base. (word of warning: They failed completely with this game the first time around, and there also were some audio sync issues at first. The first video is here, then they play as intended in the second video, but then the screwup happens. You can safely end the second video at the 25 minute mark, and then proceed to the third video where they continue the run properly). Last but not least, there’s AM2R (Another Metroid 2 Remake),a fanmade remake of the old Metroid game for the Gameboy. It’s still incomplete, but roughly 80% of the final game is playable in the newest demo. They speedrun the demo as well, with the creator as a guest commentator no less! This short, but well-made fangabe may be the closest thing to a new singleplayer Metroid game we’ll get anytime soon, so feel free to give it a try yourself. So there you have it, plenty of Metroid all around. I hope this will put some people at peace for the moment being.